Shop - KARMA ROAD by Freda M. Chaney KARMA ROAD: Walking Through Time with George Eliot, Freda M. Chaney, D.D. 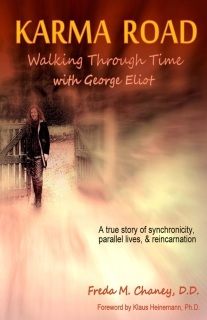 KARMA ROAD: Walking through Time with George Eliot signed full color paperback version. Full color paperback signed by the author.